One of the easiest ways to travel around Italy is by train. 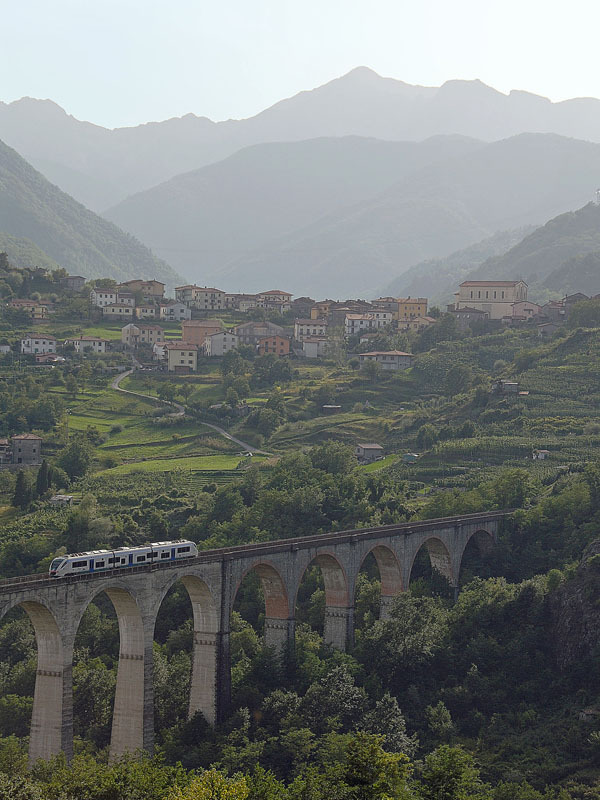 With TrenItalia or ItaliaRail, you can travel from north to south within a few hours. Although there are not many train stations situated within the Park's borders, there are a few only a short bus ride away. Once you're at one of these stations, Italy is at your fingertips. Along the Aulla-Lucca railway line, there are train stations in Aulla, Castelnuovo di Garfagnana and Fivizzano. Along the Pontremolese railway line, there is Terrarossa and Filattiera railway stations that are good for connecting to Parma and La Spezia. The buses of Vaibus and CAT entering the Park territory leave from these railway stations, so check out these sites to see how to enter or re-enter the Park. Both Reggio Emilia and Parma have the two closest railway lines. Reggio Emilia has two train stations: Reggio Emilia (closest to the city center) and Reggio Emilia AV, while Parma just has one. Each of these stations connect to other major cities around Italy. From the AV train station in Reggio Emilia you can take the fast train and reach Bologna in 20 minutes, Florence in 45 minutes, or Rome in 2 hours and 20 minutes. By train, Milan is only 40 minutes from Reggio Emilia. Bus companies like ACT and TEP both enter the Park territory and leave from the railway stations listed above. Buses normally serve students who have to reach schools from villages, so in summer, when schools are closed for vacation, bus service is customarily reduced.